We are so grateful to Melanie Fiona who tweeted us about her Grammy Gift Bag! We are so happy she loved it and now we are super happy to give BACK!! 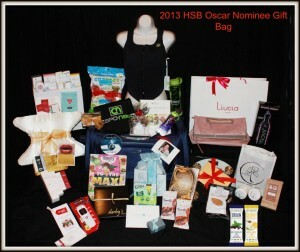 2013 Hollywood Swag Bag Oscar Nominee Gift Bag — with Jennifer Taday Thomas, Dawn McCarthy, Judith Galindo, Jin Jun, Debbie McCune, Alan Scott, Pattie Goldsmith Lerner, Alycia Tang and Jennifer Ormond.